Franklin Electric introduces the new 10 inch rewindable motors. 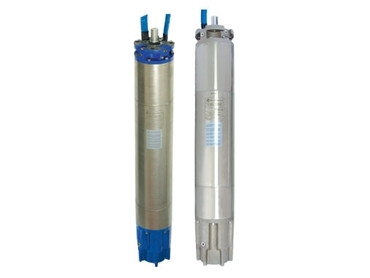 Manufactured in ISO 9001 certified facilities, the rewindable motors are designed and built for dependable operation in 10 inch diameter or larger water wells. They come equipped with a water lubricated radial and thrust bearings for easy operation and minimal maintenance. The motors are filled with a unique FES93 fluid, offering frost protection to as low as -15°C storage temperatures. A special diaphragm enables pressure compensation inside the motor.